When you hear that a senior loved one has dementia, nothing can be more devastating for you and your family. Every person’s experience with dementia is likely going to be slightly different as dementia is an extremely complicated condition. 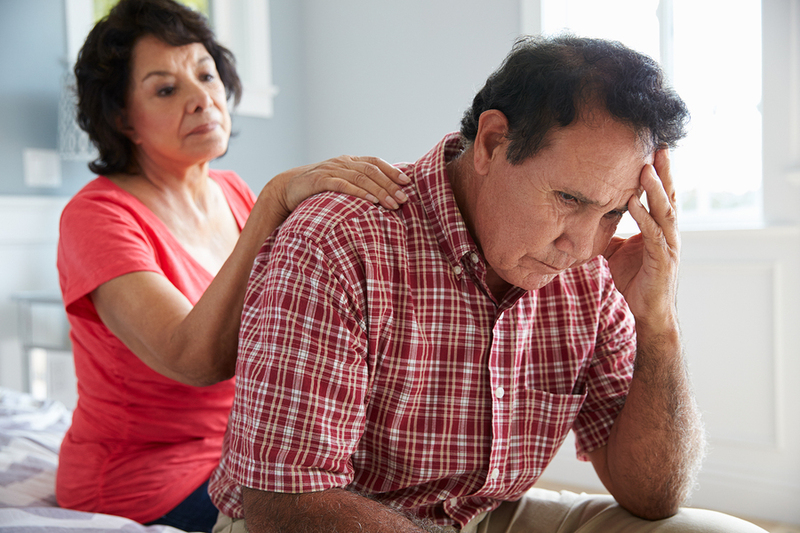 However, there are several main stages of dementia that most people go through and the more that you know about these stages, the better prepared you will be to help your loved one during this difficult time. Stage 1: No dementia diagnosis. No cognitive decline. This is the stage where seniors continue to function normally, it is a type of base level. In this stage, seniors are mentally healthy and have no memory loss. Stage 2: No dementia diagnosis. Very mild cognitive decline. Even in stage 2, seniors don’t technically have dementia. This is stage where normal forgetfulness may occur. This is also the stage where many people assume that their memory issues are related to aging, and many times they are. This is still relatively normal but may be an indicator of dementia in the future. Typically, symptoms are not that noticeable and may be something as simple as forgetting where they left their keys. Stage 3: No diagnosis. Mild cognitive decline. The third stage of dementia is typically when people start noticing issues with their senior loved one. While there typically still isn’t a “dementia diagnosis” in seniors who are in stage 3, this stage is important and can be quite overwhelming. Many seniors are in this stage for as long as seven years before they are really diagnosed with dementia. Stage 4: Early stage dementia diagnosis. Moderate cognitive decline. Typically, individuals in stage 4 have difficulty concentrating, they struggle with everyday tasks such as traveling to a new place or managing their finances. Seniors may have issues remembering recent events and may start to isolate themselves from friends and family. On average, seniors are in this state of dementia for about two years. Stage 5: Mid-stage dementia diagnosis. Moderately severe cognitive decline. Seniors who are in stage 5 of dementia typically start to have major memory deficiencies and typically need some assistance in completing their day-to-day activities such as bathing, preparing meals and dressing. Memory loss is typically more prominent in these seniors and can include forgetting the time or day or forgetting where they are or how they got there. This is typically where wandering starts. Stage 6: Mid-stage dementia diagnosis. Severe cognitive decline. In this stage of dementia, seniors need extensive assistance in carrying out their day-to-day activities. IN this stage seniors may struggle to do something as simple as counting, they start to experience changes in personality and may forget names and faces of those closest to them. On average seniors can stay in this stage for around 22 ½ years. Stage 7: Late-stage dementia diagnosis. Very severe cognitive decline. When seniors reach this state of dementia, they are typically unable to communicate or speak at all and lose many of their motor skills. They typically need help with virtually every part of their day from using the restroom to eating. Unfortunately, there is no cure for dementia, so most seniors simply have to go through these stages These are the main seven stages of dementia. While no one ever wants their loved one to have to suffer through these stages, the more you know about dementia in elderly adults, the better prepared you will be during every stage of this difficult illness.